You know me, I love a cheap lipstick as much as the next bargain hunter. Okay, so buying cheap doesn't exactly have the same sense of satisfaction as treating yourself to an expensive Chanel or YSL lip splurge, but it sure as hell is a lot nicer on your purse! 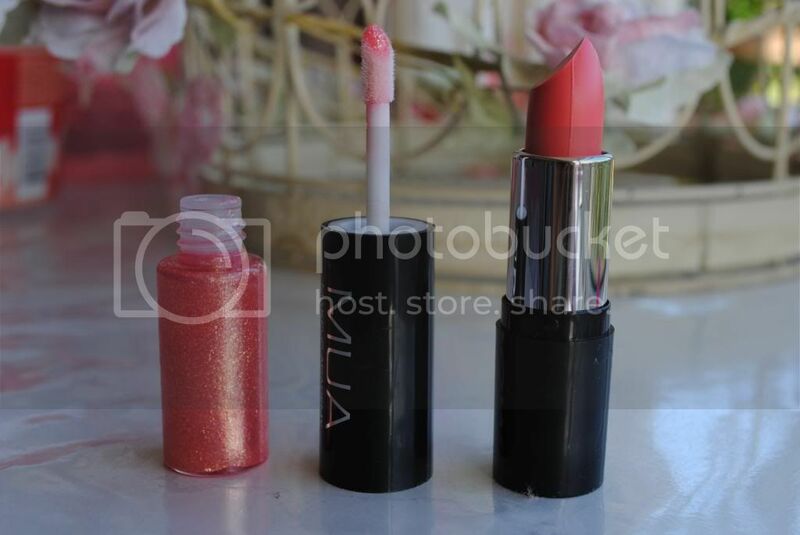 Plus, if you know where to look, there are some amazing (and bargainous) lip products out there. Take, for example, MUA. I love MUA. It's a cheap-as-chips cosmetic brand, but the best thing is, it delivers. Instead of fancy packaging and the delightful 'vanilla' lipstick smell, it might be a tad rough around the edges (okay, so MUA's lipsticks smell cheap - they have that signature 'ew cheap lipstick' smell), but at the end of the day, it's the product inside that counts and MUA always have decent products, for really, really good prices. A few weeks ago I noticed the delightful Alexandra Burke's face propped up against the MUA stand in my local Superdrug. Now, I'm not a fan of the girl in all honesty - she's okay, don't get me wrong - but her music and style don't really appeal to me. 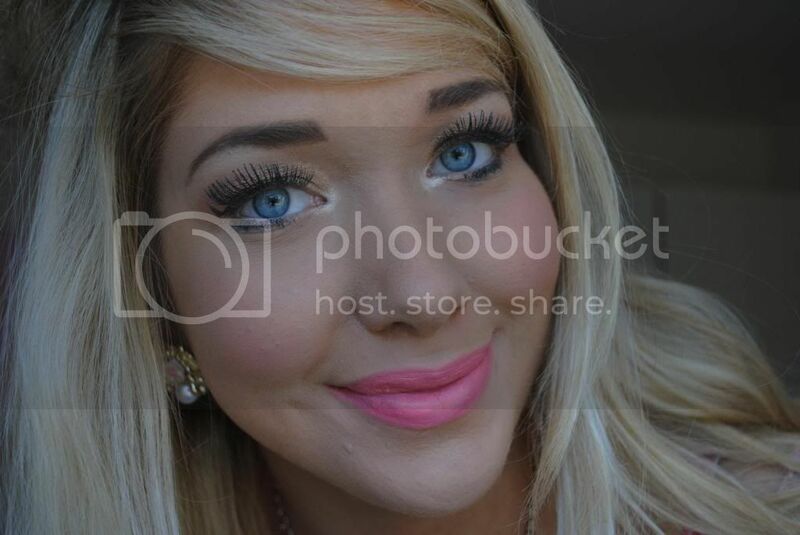 However, the colour range of her new 'Lipbooms' most certainly did. In particular, 'O.M.G' got my attention (the names are hilarious in themselves, seriously, although there's no denying they scream Alexandra Burke). The lipbooms are basically a lipstick/lipgloss combo. 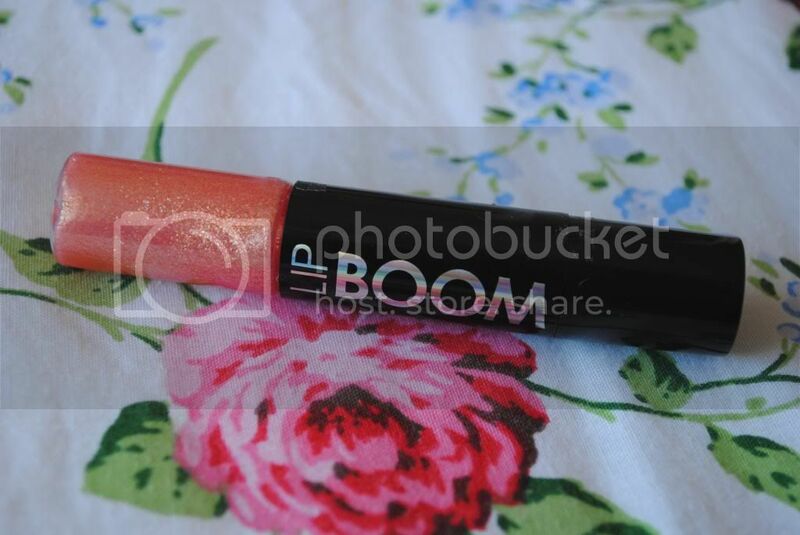 'O.M.G' features a gorgeous, peachy pink (almost verging on coral) gloss with gold flecks, whilst its lipstick is a delightful matte, peachy pink. It was the gloss that originally caught my eye - but it's actually the lipstick that I love best. I'm not really a gloss person in all honesty, and like the majority of glosses I own, it doesn't really say much when it's on the lips, although in the tube it looks lovely. The lipSTICK, on the other hand, is truly gorgeous both on and off the lips. It's just a perfect, easy to wear pink that I think would flatter most skintones. I'd been looking for a lipstick like this for ages, and I'm so pleased I found it. I really love this lipstick and for the grand total of £3, you really can't go wrong! 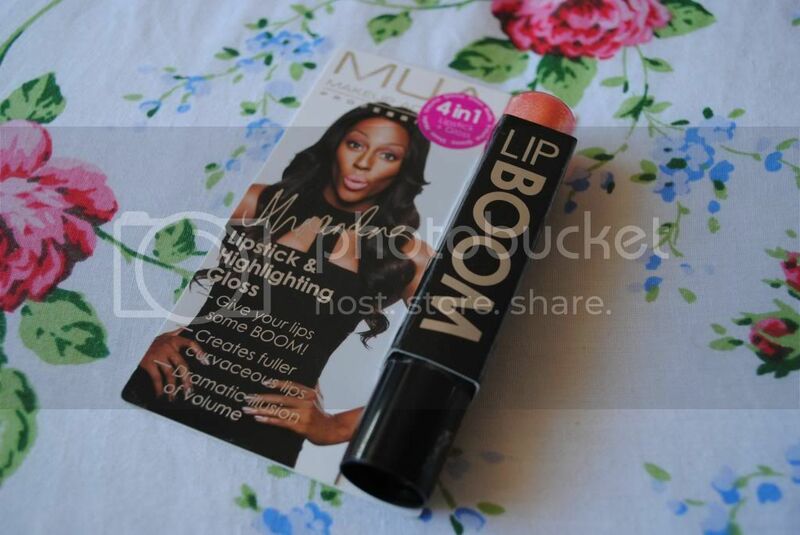 Have you tried MUA's Lipbooms? What did you think?